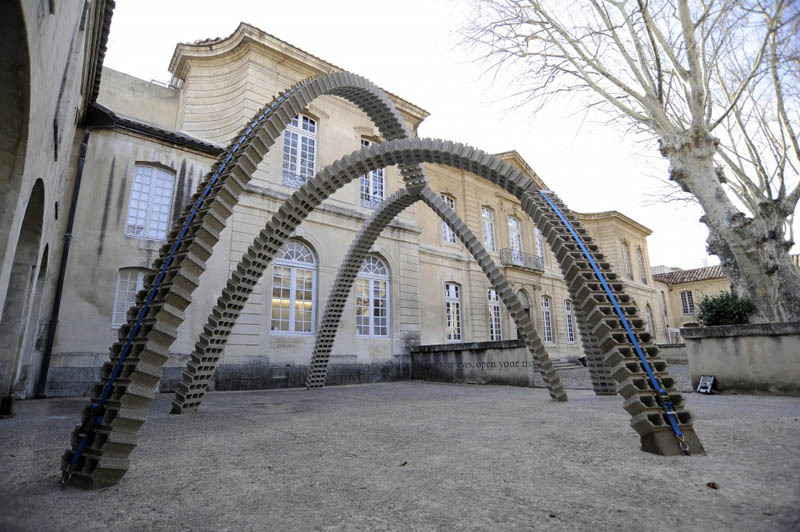 French artist Vincent Ganivet creates gravity-defying sculptures using concrete cinder blocks, bricks, straps, sometimes wood, and metal. 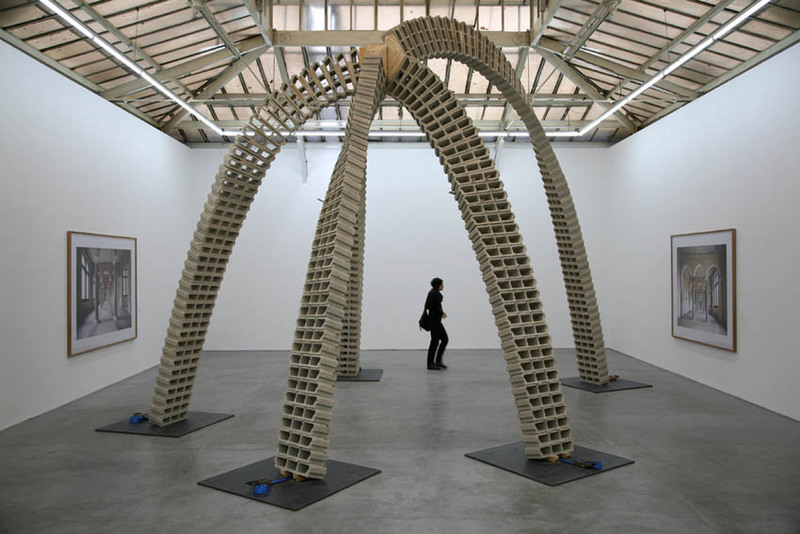 These mostly large-scale works arch and twist in impressive ways, all the while staying balanced in place. Pretty amazing. This entry was posted in Architecture, Art, Fun, Just Plain Cool, Stuff We Like. Bookmark the permalink. This is so creative!!! We would like to have you as a featured artist in a future post. We are also opening our gallery on Aug.1. Contact us through our site.